Buoyed by the rising oil prices in the international market and increase in oil production, the federal government has expressed confidence that the Nigerian economy will record significant growth in the last two quarters of 2018, notwithstanding activities surrounding the upcoming elections. This sanguine expectation was further boosted by the fact that the seismic forces which led to the deceleration of the growth in the Gross Domestic Products (GDP) in the second quarter are being addressed and would continue to be tackled to achieve expected growth and other macroeconomic objectives by the end of 2018 and the first quarter of 2019. The first quarter of the year had registered a GDP growth rate of 1.95 per cent, which raised hope of better performance, but this was followed by a 1.5 per cent in the second quarter. 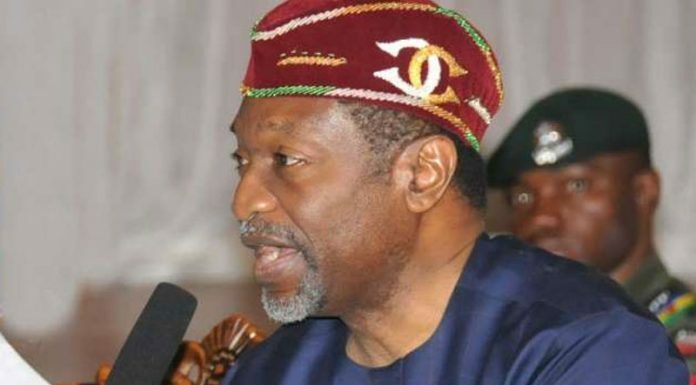 The Minister of Budge and National Planning, Senator Udoma Udo Udoma, who expressed this optimism in an interview published in the current edition of NextMoney magazine, said the challenges that induced the lacklustre performance in the second quarter were being nipped in the bud, saying the government was not expecting anything not positive given the level of corrective measures that had been put in place. Explaining the reasons for the poor outcome in the second quarter, Udoma ,who said he was disappointed with the outcome blamed the drop in GDP growth rate for the second quarter principally on the contraction in the oil sector. He noted that the oil and gas sector contracted by -3.95 per cent in the second quarter of 2018, compared to a growth rate of 14. 77 per cent recorded in the first of the year. â€œThis was due to some technical projection issues which are being addressed by the Nigerian National Petroleum Corporation (NNPC). â€œFor instance, average crude production was only 1.84 million barrels a day in the second quarter of 2018 as opposed to an average production of 2.0 million barrels a day in the first quarter of 2018,â€ he said. In addition, according to the minister,â€ there was slight weaker growth in Agriculture sector in the second quarter compared to a growth rate of 3 per cent in the first quarter of 2018.
â€œThis was partly due to communal clashes and other security challenges in the north-east and middle belt regions of the country, which affected farms. Indeed, some states in the north-west such as Zamfara , were affected by such clashes. â€œThese are however being contained and there has been significant improvement in security across Nigeria. Crude oil production and agriculture account for about 35 per cent of our GDP,â€ he added.